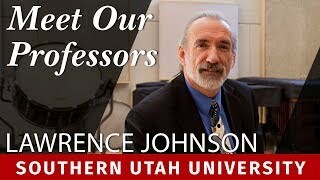 Dr. Lawrence Johnson is chair of the music department at Southern Utah University. Outside of his work and teaching at SUU, he enjoys performing and was an international finalist in the Luciano Pavarotti International Voice competition in Philadelphia. Possessing degrees in both voice and piano performance, he has accompanied and conducted numerous concerts, operas, recitals, and shows. Some of his favorite operatic roles include Rodolpho in “La Bohème,” and the title roles of Werther and Don José in Bocelli’s “Carmen.” Dr. Johnson has had the privilege of working with such distinguished luminaries as Sherrill Milnes, Mignon Dunn, Martin Katz, Elly Ameling, Geoffrey Parsons, and Tony Randall. Dr. Johnson earned a bachelor of arts degree in music at University of Wisconsin-La Crosse. At Northwestern University, he earned a master’s degree in music in voice performance, and a Ph.D. in music in voice performance. The Southern Utah University’s (SUU) Department of Music faculty will perform in a recital titled Soirée on Monday, October 3, 2016 at the new Southern Utah Museum of Art (SUMA). The concert is dedicated to former staff member, Shane Summers, as a remembrance of his time at SUU. Of this performance, Dr. Lawrence Johnson, associate professor of Music, said, “This year's faculty recital will be of special note. We are dedicating this performance to the memory of our colleague and dear friend, Shane Summers, whom we suddenly lost this past August. There will be music specifically written for and also dedicated to Shane, as well as a short video presentation.” Summers passed away unexpectedly in August. 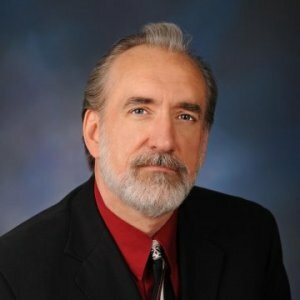 Students, faculty, and community members can take this time to remember his life and the deep impact that he had on SUU’s community. This course is designed to teach students the correct standardized singing pronunciation of German by utilizing the International Phonetic Alphabet. Students will learn pronunciation rules as well as study German Art Song Literature. This course is designed to teach students the correct standardized singing pronunciation of French by utilizing the International Phonetic Alphabet. Students will learn pronunciation rules as well as study French Art Song Literature.